Since joining the Guru Travel team I have come to realize that there are some very common myths out there about exactly what Disney travel professionals do, what it costs you and whether or not you have control over your vacation anymore. Let’s take a look at nine myths out there that need to be debunked ASAP!! It costs me extra to use a travel professional. Absolutely NOT! At Guru Travel our services are FREE to you. We earn a commission from Disney and charge you nothing. I already know your next question, yes we always look for the best deal for you and we even Mouse-sit your reservation to see if a discount becomes available up until the time of travel. I have to give up control of my vacation when I use a travel professional. This one falls into the yes and no category. Yes, you still get to make the decisions of what you do on vacation – No, you cannot call Disney yourself to make changes to your reservation. We will take care of as many of the details as you would like – ADRs, Itineraries, FastPass+ suggestions, ect. but, if you are more comfortable handling all of it yourself we respect that it is your vacation. But I would definitely suggest you take advantage of as many of our services as possible. I can do it all for myself on my computer/smart phone. Sure you can make your reservations online, but if you aren’t a Disney freak with a lot of free time on your hands I can promise you will not be getting the most out of your vacation dollar. When you call Disney directly they will not recommend the best resort for you and your family. They will not make dining recommendations, or help you with your itinerary. You are on your own. Google Disney Travel Tips - when I did today I got 7,500,000 results - that's a lot of info to sift through. I have a friend who goes to Disney all the time, they will help me. Disney fans are truly fanatics and we love to share our Disney knowledge. It's awesome, and it's free from someone you know. But you aren't saving any money - because (#1) we don't charge you anything for our expertise! Your friend knows what their family likes, but can they make the best recommendations for you? Do they have kids with similar interest and ages as yours? Do you both have the same budget to work with? Are they going to call Disney for you if a special offer becomes available and apply it to your reservation? Are they going to stay up until midnight at your 180 day mark to get those ADRs at Cinderella's Royal Table or Be Our Guest? I go to Disney all the time so I already know everything, you can't help me. While I don't doubt you know Disney, have you ever considered that you may be in a Disney Rut? I posted about this not too long ago. While you may know what you always do at Disney a good shake up could do you good. And we all know things change with Disney all the time, as travel agents it is our job to stay on top of the changes and notify our clients. We have access to the latest offical information from Disney - not just rumors. I have My Disney Experience - I don't need a travel agent. As travel professionals we LOVE My Disney Experience, we totally understand that it's a valuable tool. Remember that it is what it is - a tool not a person who can answer specific questions or make recommendations for you. It is great for keeping track of your itinerary and staying on top of current information in the parks but it cannot recommend a resort or restaurant. It cannot provide the personal service we do. You will push me to buy add-ons I don't really want. This one is most definitely not true. Travel professionals will offer what they feel is best for you, your family and your budget. They don't want you to spend more than you can afford and are not in this totally for the money. Most travel agents who specialize in Disney are doing it to share their love of Disney travel. Two things I always recommend - travel insurance and Memory Maker. Why? Because I truly believe these two products make a difference in your vacation, and I don't make commission on either one. I am just a $ to you, you don't care about me and my family. I want you to have your best vacation ever when you book with me. It's personal, I build a relationship with my clients while we are planning and by the time you travel my friends are going to Disney. I get to know your family, I ask about your hobbies and interests. This information helps me recommend restaurants, resorts and FastPass+ to you. After you book my reservations I am on my own. Again, definitely not true! We enroll you in Mo's Mouse Academy and send regular emails with information that will ensure you a stress-free, fun filled vacation. Personally, I am available via email or phone to answer all of your Disney vacation questions. I really do care about you and your family having a Magical vacation! 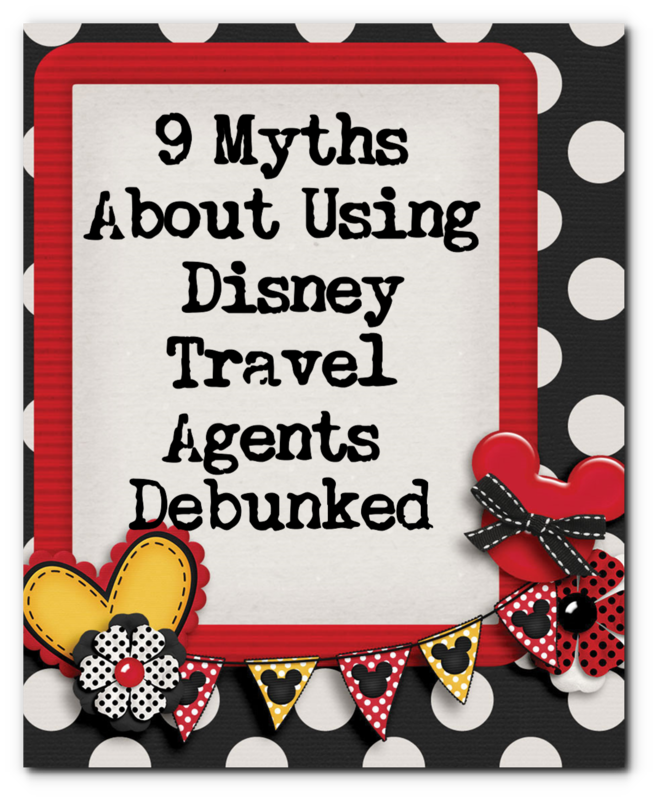 These responses to myths are my own, and I cannot speak for other agents or agencies. I will tell you that Guru Travel, An Authorized Disney Vacation Planner, runs their business in this way. Our clients are very important to us and we will do everything we can to ensure you have a wonderful vacation. I would consider it an honor to help you plan your next Disney vacation. Request a quote here, email me or call 877-825-6146 ext 706. OK- I confess. Up until recently, the thought of relinquishing my Disney reins to someone else would have seemed blasphemous. Until I tried it! The ability to relax and rely on a travel agent to jump on pricing changes and dining plan updates is worth a million dollars; except it's FREE. Plus, Disney Travel Professionals often have discounts that allow clients to SAVE money. I say try it, you'll like it!! Exactly Didi. I wish I had said it so eloquently. 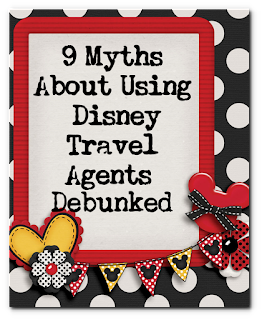 These are great points about using an Authorized Disney Travel agent! As a fellow agent I applaud this post!! Casey you have been at this longer than I have. I know you totally get it. You are so right Naomi! I have heard of agencies charging and I would definitely steer clear of them. I may need to amend my post.